The VELscope® Vx Enhanced Oral Assessment System is a handheld scope that can help detect oral tissue abnormalities, including cancer and pre-cancer using a harmless, bright blue light. 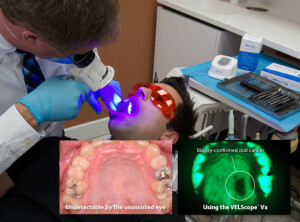 This technologies extreme sensitivity to tissue changes helps the team at Susquehanna Dental Arts provide our patients a better outcome if tissue abnormalities are detected, since they can be detected in earlier stages. Unlike other similar devices used for examinations, the VELscope® Vx doesn’t require dyes or prolonged testing procedures, which means it can be performed at our office during a routine exam in just a few minutes.